A few weeks ago, a Haleyfan recommended a book to the rest of us here on this site. I apologize: I don't remember the name of the book or who suggested it, but at the time it reminded me that I've long toyed with the idea of starting a thread for those of us who are readers. One of the reasons this caught my eye is due to recent discussions here regarding plagiarism, which (apparently) now viewed as "unacknowledged repetition." I look forward to getting my hands on this book. What are you reading and want to recommend? Okay, I'll bite. First, I believe the book you are referring to is Don't Let's Go to the Dogs Tonight: An African Childhood mentioned by XAtlantic. Here are a few books I've read in the past few years that I've liked. I'll also add that I often listen to books on my mini iPod nowadays. With its spotlight on elephants, Gruen's romantic page-turner hinges on the human-animal bonds that drove her debut and its sequel (Riding Lessons and Flying Changes)—but without the mass appeal that horses hold. The novel, told in flashback by nonagenarian Jacob Jankowski, recounts the wild and wonderful period he spent with the Benzini Brothers Most Spectacular Show on Earth, a traveling circus he joined during the Great Depression. When 23-year-old Jankowski learns that his parents have been killed in a car crash, leaving him penniless, he drops out of Cornell veterinary school and parlays his expertise with animals into a job with the circus, where he cares for a menagerie of exotic creatures[...] He also falls in love with Marlena, one of the show's star performers—a romance complicated by Marlena's husband, the unbalanced, sadistic circus boss who beats both his wife and the animals Jankowski cares for. Despite her often clichéd prose and the predictability of the story's ending, Gruen skillfully humanizes the midgets, drunks, rubes and freaks who populate her book. A well written book about an offbeat seqment of society, set in a bygone era. Good characters and an engaging story. Despite 20th-century physics' revelations, from relativity and quantum mechanics to the physics of the atom's nucleus and the life cycles of stars, ninety-odd percent of the universe is a complete mystery, says a scientist quoted by Ananthaswamy, a consulting editor for New Scientist. Dark matter, dark energy, quantum gravity: these are the topics that keep physicists awake at night, requiring bigger, more massive, more extreme experiments to test theories and uncover clues. The author takes readers behind the scenes of these experiments in some of the most inhospitable places in the world, leading the tour with wit and an eye for compelling detail. First is a pilgrimage to Mount Wilson Observatory, where astronomers first measured the expansion of the universe. Next we go 2,341 feet underground in a defunct Minnesota iron mine to search for particles that could reveal dark matter. Sensitive telescopes embedded in the thick ice of Siberia's Lake Baikal and Antarctica search for neutrinos. These experiments and others are heroic in every sense, and Ananthaswamy captures their excitement—and the personalities of the scientists behind them—with enthusiasm and insight. The book provides lay explanations of various leading edge topics in physics, which the author makes very accessible. But the unique aspect of the book is being taken by the author to many of the extreme and remote sites where the relevant research is being conducted. Hitch-22: A Memoir by Christopher Hitchens. I have long enjoyed the commentary of the Christopher Hitchens and was saddened by his death in 2011. I didn't always agree with his perspective, but I always admired his dedication to independent thought and reasoned analysis. Sweeping in scope, well written (witty, lively presentation of a potentially very dry topic). Often quite speculative but always thought provoking. I'm currently reading "The Big Short." Quote: The Big Short: Inside the Doomsday Machine is a non-fiction book by Michael Lewis about the build-up of the housing and credit bubble during the 2000s. The book was released on March 15, 2010 by W. W. Norton & Company. 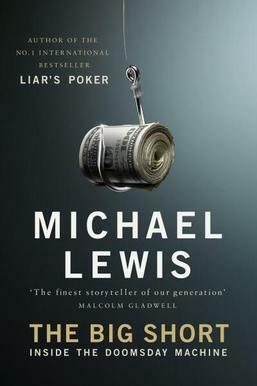 Recent Amazon review that I agree with: "Michael Lewis writes nonfiction like fiction with excellent characters and dialogue." I'm about 70 pages in and the book has already given me a better understanding of what went down, and why, in addition to being a good read.